*Note: Updated price will reflect in cart. 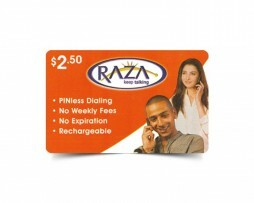 CiCi Calling Card is amongst the most popular and reliable prepaid calling card in Canada. CiCi offers extremely low calling rates for international long distance phone calls. So, Why Buy a CiCi Calling Card? For any assistance or inquiries, you may call CiCi customer service at 1-888-836-2347 and for Toronto 416-642-8003 or you can visit groupofgoldline.com for more information.